4. 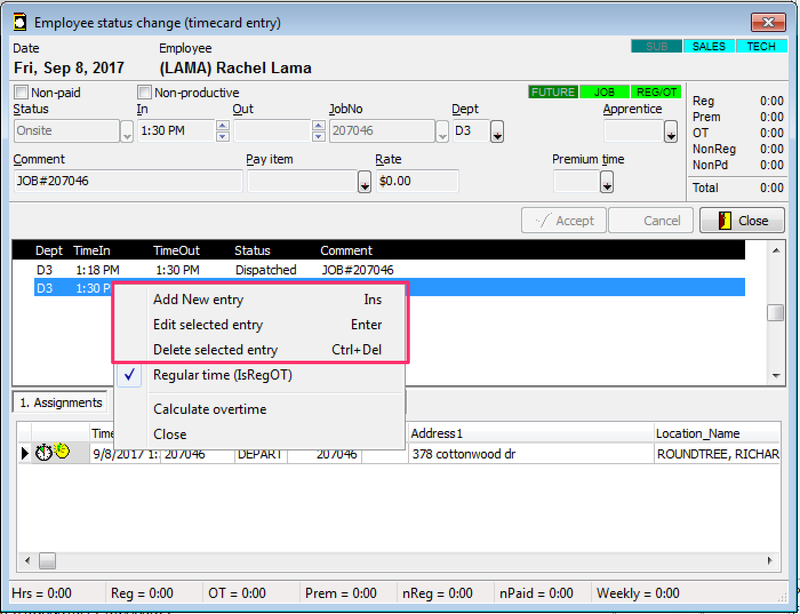 Select the entry you wish to edit by right-clicking it and choosing Edit selected entry or Delete selected entry. Hit Accept to save the changes. 5. 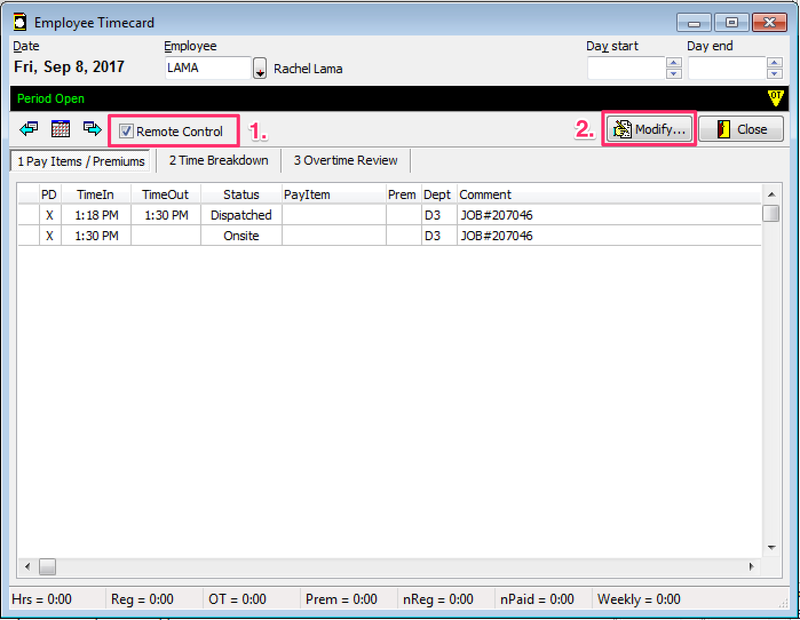 Finally, make sure to recheck the Remote Control checkbox, so that the Tech is not locked out from making further changes in SWRemote. You can do this by hitting the Close button and re-checking the Remote Control box. 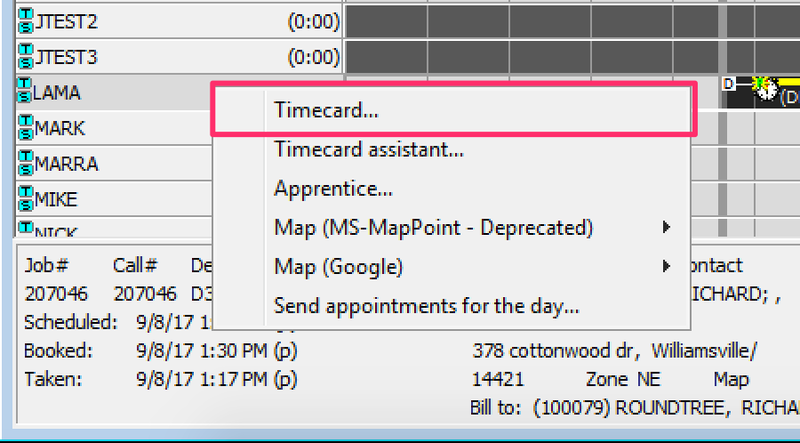 If there is an "out" time filled out for a specific time period, SuccessWare21 will not allow remote timecard punches to be made during that period.